It’s been an occasionally recurring theme over the last decade that a nation’s taxation agency gets the idea to track down possibly-unreported tournament winnings earned by poker pros. The latest entry in this long-running series is Israel, where the Israel Tax Authority is in the process of going after international players who’ve appeared to notch big tourney scores overseas. 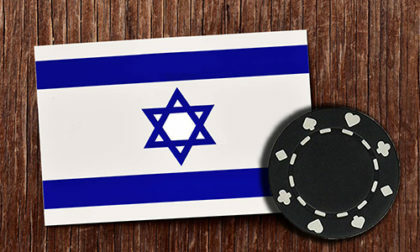 It’s not the “Israeli” Poker Academy, it’s the “Israel” Poker Academy, which offers serious lessons for its students to use, both in private home games and at international venues. And one the academy’s co-founders, Shai Zurr, took down Event #65 of this past summer’s WSOP, winning $223,241 in a $1,000 turbo-format event. Zurr was actually one of two Israeli winners at the WSOP last summer, joining Ben Baruch Maya; Maya claimed a similar $257,764 payday in winning Event #43, $1,500 Shootout NLHE, less than two weeks before Zurr’s triumph. The issue that Zurr (in all likelihood) and other Israeli players appear to be facing is that they reported their income as being derived from “lotteries, prizes, and gambling” — in other words, games of chance. 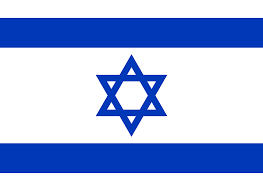 For games of chance, for Israelis, those winnings are taxed at a 35% rate. However, the ITA insists that these winnings should be treated as “business” income, since, after all, these are professional players earning money through practicing a skilled craft, albeit it one with a significant chance element. Such earned business income is taxed at 50% rather than 35% in the tax bracket where these major tourney scores fell. Flushdraw readers in the States might recognize the irony in all this: It’s the exact opposite of the tax situation in the US regarding poker winnings, where the IRS generally insists that poker be taxed as gambling winnings rather than business earnings. That’s because in the US it’s the gambling winnings that are taxed at the higher rate, a situation that led to the celebrated poker-income case pitting Billy Baxter against the US’s IRS way back around 1980. Some countries don’t tax gambling winnings. Unfortunately, neither Israelis nor Americans are lucky enough to live in one of those jurisdictions. Then there’s the problem that can occur when publicly reported “winnings” don’t match what really happened behind the scenes at a tourney. The Globes story references another player in its feature who encountered that problem, an again-unnamed pro who won roughly $270,000 in a $25K buy-in event in Cyprus in 2010. Again, it takes just a few seconds to determine that this player was almost certainly Ori Miller, who took second place in the 2010 Full Tilt Cypress Classic’s $25,000 + 750 High Roller, winning precisely $207,337. Or at least that’s what sites such as HendonMob’s player database show, which leads to Miller’s problem. … He traveled abroad to take part in professional poker tournaments frequently in 2010-2012, including a series of tournaments that took place in a casino in Turkish Cyprus in 2010. It cost $25,000 to enter each tournament. During his stay at the casino, the tournament organizers offered to let him play without paying the entry fee, while if he won, he would get 10% of the amount won, after deducting the entry fee and 3% tax paid to the Turkish Cypriot tax authorities. If he won no money, he did not have to pay anything to cover the costs of the tournament. The casino asked him to participate because few participants had registered for the tournament, while the casino had undertaken in advance to pay the prizes to the winners. Since he did not have the participation fee, he accepted the casino’s offer. The tournament organizers, of course, were the Full Tilt Poker crew, who like several other seedy organizers over the years sought to pump up the official player count by any means necessary. The original Full Tile Poker is long gone, and it’s a reasonable guess that Miller didn’t obtain (or retain) full documentation regarding the backing deal, or that the ITA is disputing whatever documentation he might have. One of the sidelines to this story of Israeli tax agents going after high-profile poker players’ winnings is that it’s trivially easy for any government agency to track those highest-profile results. As noted in a story published earlier today by Lee Davy over at Calvin Ayre, sites such as The Hendon Mob, Pocket Fives and others offer comprehensive and searchable databases of who’s won the most money playing poker, including where they live. Davy also correctly notes that these database sites offer only a gross winnings total, without any report on how much a certain player might have spent to earn whatever amount is missing. Then, in true Lee Davy style, he wanders sideways off the farm and suggests that players are just better off declining to identify themselves at major poker events. Umm, good luck with that one: First of all, virtually all significant poker tourneys require official ID to register, and casinos around the globe generally have stringent reporting requirements for major cashes that preclude what Davy seems to suggest. I like Lee, but when he goes off on a tangent, he really runs with it. And we’ll hop back inside the horse fence as well. The Israeli tax situation regarding high-stakes tourney winnings is hardly new, and it’s been in the news from countries ranging from Sweden to Germany, the Netherlands to the US, and many more. Instead, it’s beholden upon the players to keep track of what’s going on, lest a situation like that facing Miller (presumably) fall upon them as well. The worst thing to do after a windfall is to make it into a waterfall, but that’s always part of the risk.